Katie joined Owens Estate and Wealth Strategies Group in 2016. She serves as Mary’s right hand, handling all money movement, and overseeing our client service team as the Client Service Manager. Katie’s caring and sociable personality is best seen servicing our clients, and her attention to detail is critical to our team’s productivity. Katie’s love for children led her to California State University, Chico where she earned her degree in Child Development. 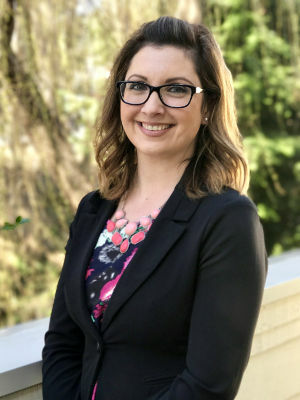 She started her career working for the Nevada City School District and later moved on to work in the budgeting department for the Elk Grove Unified School District. Katie joins us with nearly 20 years’ experience working within the school districts and says it has inspired her to be a more compassionate and patient person. Katie was born and raised in Nevada County, and returned to the area to raise her family. In her spare time, Katie enjoys hiking, working on her custom paint art business, playing softball, and spending time with her family.